Hi All, this photo is named Prince Regent Lane 1945. 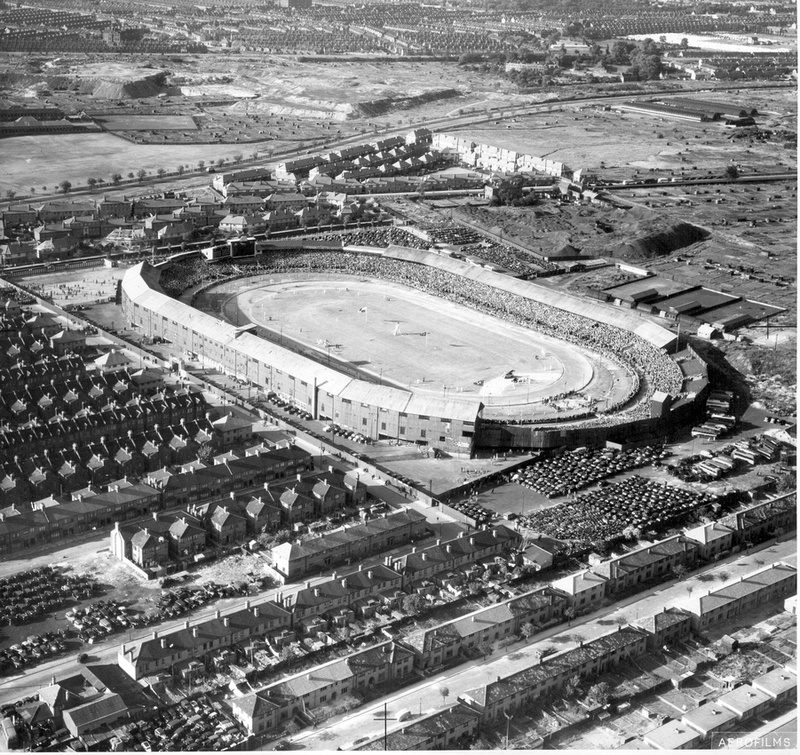 If the roads on the right are Churchill Rd & Randolph Rd, what was built in the central site? Ken, According to the Ordnance Survey map, new housing was built on this site. Copying and pasting the link below into your browser will take you to the map. By cross-referencing the Ordnance Survey with todays Google Street view, I would estimate that from 2-12 Churchill Road was new build. Randolph Road it self has now disappeared completely under redevelopment. 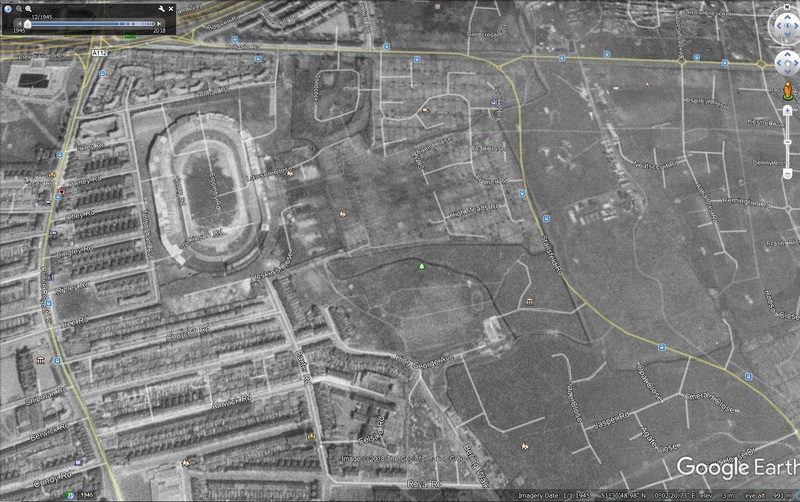 I have seen this photo before and I think it shows the V2 impact site in PRL which was between Ripley Rd and Tree Rd. It landed on 30th Dec 1944. The roads in the photo are Tree Rd nearest to the camera and Ripley Rd on the far side of the cleared area. Most of this area has been rebuilt except the houses on the far side of Ripley Rd which seem to have survived pretty much intact. If you look on Google Maps you will see the houses on both side of Ripley Rd are still there including the gable end of the house closest to the impact. Hi Mick, poor phrasing on my behalf, I would like to know, what was on this site before the bombing. Bif, thanks for your reply, you have thrown new light on the photo by saying "the roads in the photo are Tree Rd nearest to the camera & Ripley Rd on the far side"
There was me thinking it was Shipman Rd nearest to the camera. I am sure other posters will confirm which is which. Hi Ken I think if you look at the photo you can see the temporary road that was put in after the V2 landed in Prince Regents lane to the left of the cross roads so that the trolley buses could keep running.On the corner of Tree Road stood a shop named Gillettes that sold sweets cigarettes cards etc. After the war I believe the son of the original owner of the shop had a wooden shed erected on the site and carried on selling similar items . After the V2 fell the contents of the shop were dumped in the forecourt of the Blue Star Garage and everyone helped themselves I myself got a large tin of coloured glass marbles. 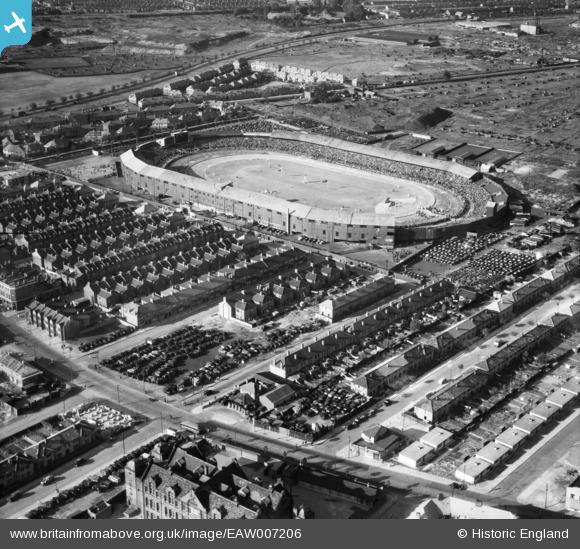 Hi Harry, thanks for info, as a local, can you confirm that the 2 roads on right of photo are Churchill Rd & Randolph Rd? I am utterly confused by biff post. Hi Ken If you look at the photo the lady walking towards the Blue Star Garage forecourt if you follow the direction that she is walking the first road she would come to would be Churchill road the next would be Randolph Road. In the photo the turning this side of Prince Regents lane would be Argyle road Shipman Road School would be Opposite Churchill an Randolph Roads. The Road next to the Blue Star Garage would be Tree Road the next one across the large debris would be Ripley and most of the roads carrying on down Prince R.egents lane towards the Beckton Road were named after Yorkshire towns . All these directions were seen from the nearside of the photo by the telegraph pole with the white band painted at the bottom. The kerb edges were also painted white so that the were visible in the dark during the black out. This explanation seems a bit involved but I can see it as if I were standing on that particular corner now .Regards Harry.I. I was looking on the internet without success to see if I could find a picture of this area prior to V2 rocket. I did however come across a site that details a lot of information on the rockets themselves. Below is the information on the Prince Regent Lane V2. 1944 December 30 - . 09:00 GMT - . Launch Site: V-2 Battery 444. Launch Vehicle: V-2. •V-2 combat launch from the Hague to West Ham - . Nation: Germany. Battery 444 or Battery 485, the Hague, rocket fired, impacted W Ham, Prince Regent Lane..
website which can be zoomed in to show good detail. The photo on this website is EAW007206 but the search facility isn't great so search for Custom House and then scroll down to find the photo as they are listed in image number sequence. Biff, I think these might be the pictures you are describing. Please ignore this post. I added it to displace an obnoxious spam advert from the prominent 'Latest Post' position on the main page. Hi All, many thanks for all your help, I believe I have it now, I was mistaken into thinking the 2 roads on the right were Churchill & Randolph, Harry info cleared this up for me,I can now see that they are Ripley & Tree, with the Blue Star garage on the right just out of view. I didnt know me ar*e from me elbow. can be said for some sites. At one time on this site you used to be able to get maps showing the civil defence map showing where and what type of bomb fell on West Ham from 1940 to 1945 ,can I still see these maps . Regards Harry.I. Harry, I have been able to obtain a set of the West Ham Civil Defence war maps. It would probably be better it I added then to a new thread.